Reading progress update: I've read 51 out of 192 pages. Reading progress update: I've read 6 out of 192 pages. I've read this before, and I think of it as an enjoyable 4 star graphic novel--but I never did assign the rating at Booklikes. I'll wait until after this re-read, because I know this series was canceled after issue # 8 (all issues collected here), and was not well received. I seemed to be in the distinct minority. so, I'll see if my opinion changes with this go-round, but yes, I do remember liking it a lot. I’m writing this review on behalf of Rosie’s Books Review Team and thank Rosie and the author for providing me with an ARC copy of the novel in exchange for an unbiased review. 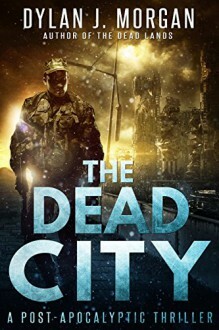 I read the first novel in this post-apocalyptic series The Dead Lands not too long ago (read my review here http://wp.me/p73X7h-24C) in preparation for the next novel. I enjoyed the first one (although I don’t read much in that genre, I had read another one of the author’s novels, and it had come very highly recommended) and was eager to see what would happen next. The story picks up where the other one left of, or near enough. A much larger military expedition, this time headed by Colonel Paden, is sent to Hemera, officially to rescue the survivors of the first mission, but in reality to recover the treasure and wealth of the city that Paden has been assured is still there. Anybody who’s read the first novel knows that all the members of the mission are in for a surprise. Although they’ve been told there are some hostile life forms in the planet (that’s more than the first mission knew), nothing has prepared them for the mutated ever hungry creatures they meet. The style of the story is very similar to the first one. It’s also written in the third person, with each chapter or part of the narration told from a different point of view. I did mention in my previous review that it made for a fairly democratic experience, and a pretty uncomfortable one at times, and that’s again the case. We are in the shoes (or the consciousness) of soldiers, male and female, of all ranks, of those in charge and those following orders, of male and female mutants… It does not necessarily help create empathy for the characters, but many of them are not likeable (and some are utterly disgusting, and I’m not talking necessarily about the mutants that after all have no choice in the matter) nor do they need to be. Like in the first one (personally I thought perhaps more in this one than in the first novel) there are characters who are easier to root for, like Ryan and his sister Jayde, Marshal, Darrell, Laila, Boone… Murdoch and Paden are the official baddies, although nobody can compete with Paden. He’s gross and horrible and… Yes, so bad he’s good. The behaviour of most of the characters is more loyal and morally sound than in the first one, perhaps because these are military men and women among the best, rather than a problematic team handpicked to die and not be missed like in the first novel. There are moments of extreme loyalty and self-sacrificing behaviour that keeps it emotionally satisfying in parts (despite the body count). Although there is not much in the way of back story (like happened in the previous one) we get snippets of personal history, for example the history of Ryan and his sister, and we learn the reasons for Murdoch’s hatred towards Ryan (and even get several versions of the story). Overall, the book is mostly about the now and the action and mission the soldiers get landed in. 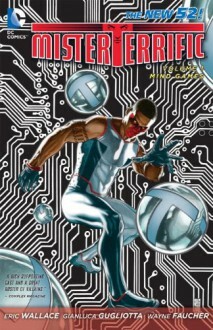 Despite traumatic memories, the soldiers have to remain focused on the task at hand if they want to survive and because we experience the story from the points of view of the different characters we, readers, also get into the action mode, fearing where the next attack might come from, if we’ll make it out of the sewers in time, and if there’s any future at all out of that rat hole. The novel questions issues of loyalty and morality, and highlights the fact that following orders is not a valid excuse when it leads to extinction and it’s led by greed (Marshal and his hesitation about following Paden’s orders reminded me of Starbuck wondering if he should follow Ahab’s. Ultimately, and I’m not going to spoil the novel for anybody, Marshal’s call is the right one, duty or not. And after all Ahab has his humanities, whilst Paden…). Rampant materialism, self-interest, egocentrism and narcissism are weighted against team loyalty, discipline and team spirit. 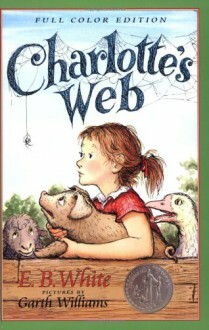 There is no humour as such in the novel, although sometimes the contrast between the situation and the point of view of the character the reader inhabits can create moments of utter disbelief and even some unintendedly funny ones (Paden can be annoying, disgusting but also quite witty at times). And I couldn’t help but chuckle thanks to a lovely twist involving a particularly grand mutant (that in fact is the mirror image of the colonel). There are also interesting observations about the mutants, who are perhaps not the wild slaughtering and devouring machines they appear at first sight that might hint at future changes to come. The novel has plenty of violence (like in a video game), with fights, shootings, descriptions of weaponry and gore, destruction, nasty smells, biological functions run amok, and injuries described in painful detail. This is not for the fainthearted or those who are looking for a nicely wrapped up and happy ending. Although the ending is perhaps less dark than in the first novel, at least so it seems initially, it has a twist in its tale and it leaves many questions open, including the future of Erebus. Who do I recommend it to? To lovers of the post-apocalyptic genre who are keen on action, and do not mind descriptions of battles, destruction and explicit violence. Also to those who like to experience stories that go beyond the comfortable following of an unambiguous hero. And I especially recommend it to those with a good stomach who love to hate their baddies. Paden is epic. Meet Tom Strong, the top science hero of Millennium City. He grew up on the remote West Indian island of Attabar Teru, married the chieftain's daughter, Dhalua and together they have a daughter of their own, Tesla. Along with inventive genius he possesses a steam-powered butler named Pneuman, pals around with a British talking gorilla and prevents one disaster after another, speeding along in his heli-pack or antique jalopy. The Strong family has helped keep Millennium City, and America, safe for decades thanks to the powerful qualities of the Goloka Root that slows their aging process. This is world where cablecars have widespread use, and the heroes and villains are powered by scientific genius, not accidents of birth or circumstances. 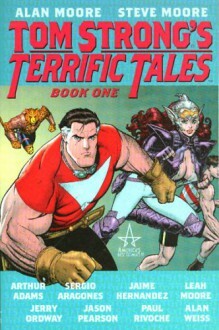 There is an origin story in the first issue, of course there is, but it is told through a comic within the comic read by an eager fan - a young member of the Strongmen of America - unknowingly being defended by his hero against the Blimp Bandit. Being so long-lived, stories can range across a whole century - this volume includes Strong battling an unusual Nazi squadron, nerds unwittingly unleashing a villain on the city through an internet download, and alternate universes where ancient civilizations triumphed. We're also introduced to his arch-nemesis Paul Saveen. Moore just throws all of this at you, there's no need for a long wind-up, its immediate action, humor and it all works. I also have the benefit of reading ahead and knowing that everything matters. Each issue contributes to the overall story.